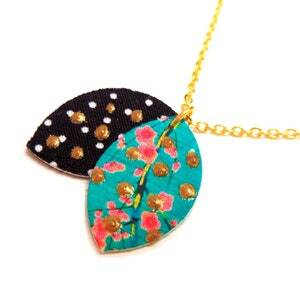 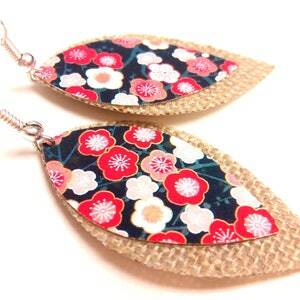 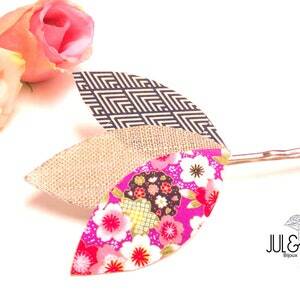 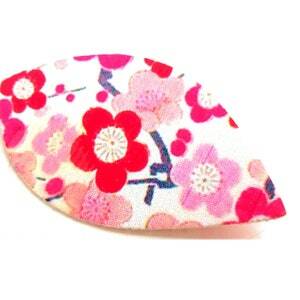 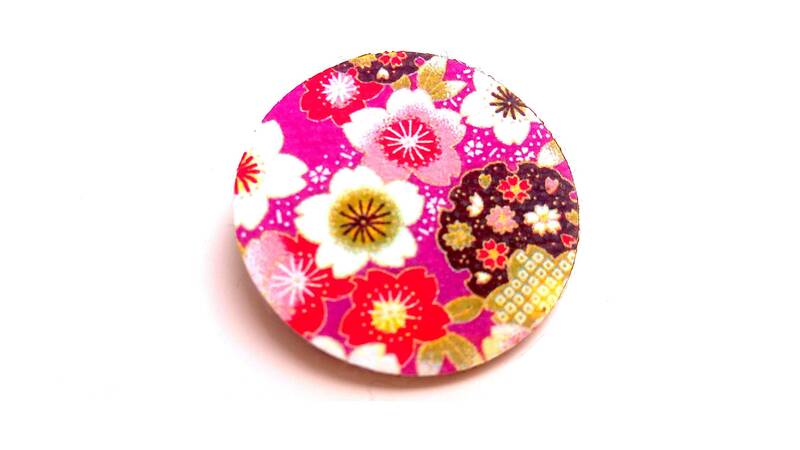 Asian-inspired, printed Japanese traditional washi, brooch round leather covered fabric. 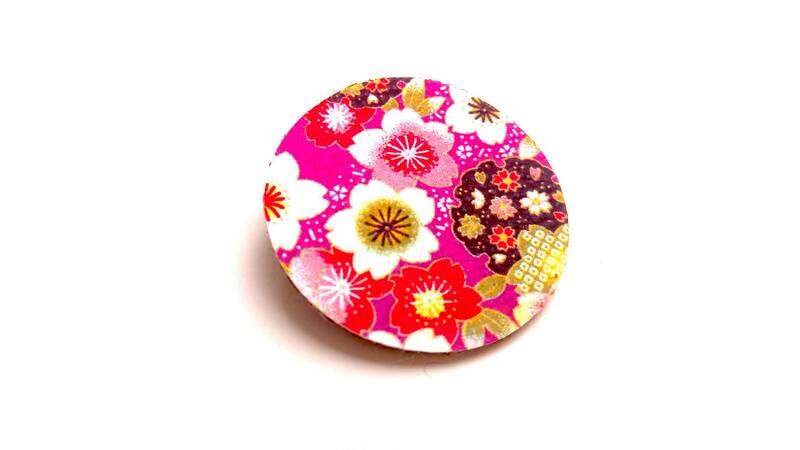 Leather full grain quality, nickel chrome tanning. 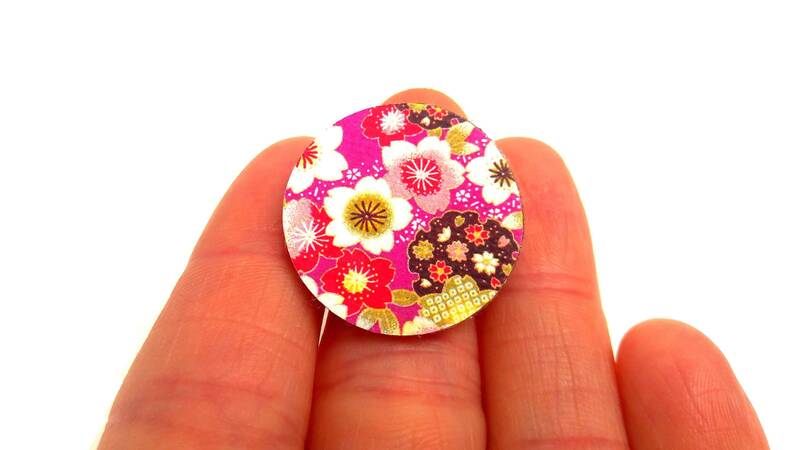 The all-over print without solvents on organic cotton fabric.